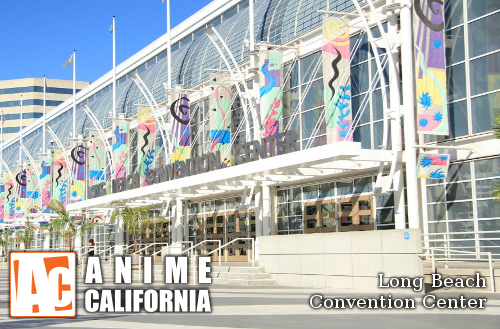 Anime California will be held at the Long Beach Convention Center. Our convention center and hotels features a ton of space – letting us host up to a maximum capacity of about 30,000 attendees. With a variety of hotels to choose from, with reasonable rates, you can choose from the: Hyatt Regency, Hilton, Renaissance or Courtyard, but remember, the early bird gets the worm! HOTEL INFORMATION AND REGISTRATION COMING SOON!! Hotel registration will be live this week, we have room blocks at 4 amazing hotels (all of which have been renovated in the last year)! The Hyatt Regency: Connected to the convention center, and right on the beach, rates are $179/night, $18 overnight parking and free wifi. Hilton Long Beach: Walking distance from the LBCC, rates are $149/night, $10 overnight parking free wi-fi and complimentary shuttle. The Renaissance Located right across the street from the LBCC, rates are $139/night, $10 overnight parking, free wi-fi (with Marriott rewards- which is free to sign up for! )- The Anime California Con Suite will be located here! The Courtyard: Located within walking distance from the LBCC, rates are $135/night . $10 overnight parking and free wi-fi.